New to the market summer 2015 and first time ever listed for sale. 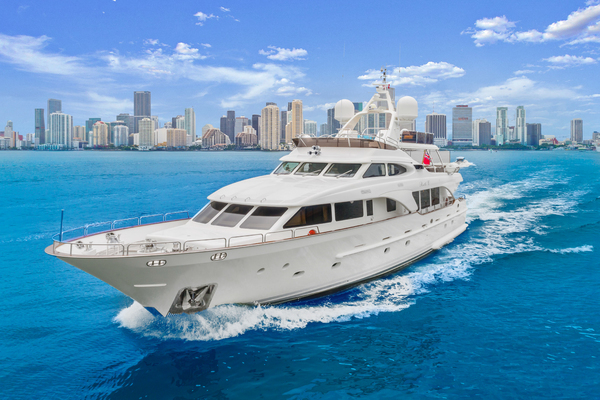 This stunning yacht was extensively refit in 2014 at Horizon, bringing her back to "as new" standards. 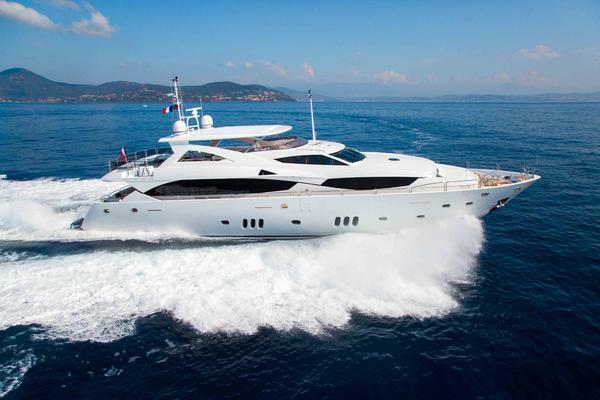 United Yacht Sales New Jersey would love to guide you through a personal showing of this 105' Horizon Premier 105 Motor Yacht 2008. This yacht for sale is located in Yokohama Japan and priced at $3,980,000. For a showing please contact us by filling out the form on this page and we will get back to you shortly! (Full specifications available soon)New to the market summer 2015 and the first time ever listed for sale, this stunning yacht was extensively refit in 2014 at Horizon to bring her back to "as new" standards.Originally launched at the end of 2008, QUEEN GRACE had had only one owner; a discerning yachtsman who has kept the yacht fully crewed andbeautifully maintained.QUEEN GRACE features four generous staterooms plus full crew accommodations for up to 6 with separate captain's cabin, full beam salon and skylounge, large country kitchen, spacious cockpit and swim platform aft. New bottom paint and a new teak swim platform and diving board, as well as servicing all major mechanical and propulsion equipment and reconditioning the propellers. She also received a number of exterior cosmetic updates that complimented the new window line in the pilot house. A new U-shaped dining area was constructed on the interior, along with a new day head, new soft goods, and a complete crew refit. All work was done at Horizon where experienced craftsmen were able to source the same veneer for the modifications, so the new wood blends with the existing woods for a consistent and spectacular finish.